Strategically applying three eye shadow colors to your eyes helps shape and define the eye so that the areas you want to enhance pop out, while muting others. Most eye shadow trios are designed so that you have a complementary blend of three colors – light, medium and dark – that will give you a harmonious look. 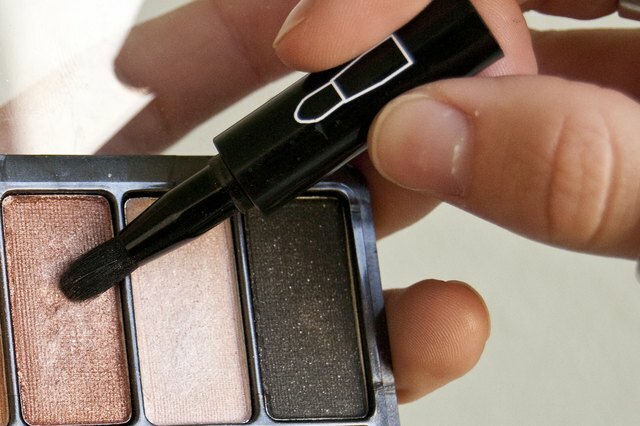 If you don’t have an eye shadow trio, pick three shadows that are similar in color but have varying shades. Classic Example: Beige, soft brown and deep chocolate brown. Adventurous Example: Soft lavender, light violet and deep plum. Regardless of which colors you choose, the basic application is still the same. Pick up some of the lightest color with a flat, stiff brush and tap off any excess powder. Press the color into your lid and up to your crease, picking up more color whenever necessary. Use care to press the color into the lid, rather than wiping it on. Pressing the shadow leads to more intense, lasting color. Use a rounded crease brush to apply the medium shade color to your crease. Start at the outer corner of your lid near your lash line and move the brush back and forth across your crease, right where the lighter color ends. Do this until the color is as intense as you’d like, picking up more color if you need it. Blend out any harsh edges with a clean, fluffy blending brush. Move the blending brush back and forth across your crease where the two shadows meet using small, circular motions. Do this until the two colors blend together and it’s not obvious where one color ends and the other begins. Sweep the blending brush back and forth across the top of the darker color until any harsh lines are gone. You want it to look like the color blends right into your skin, rather than sticking out like a sore thumb. Use a pencil brush – a pointed brush with short, stiff bristles – to pick up the darkest color. 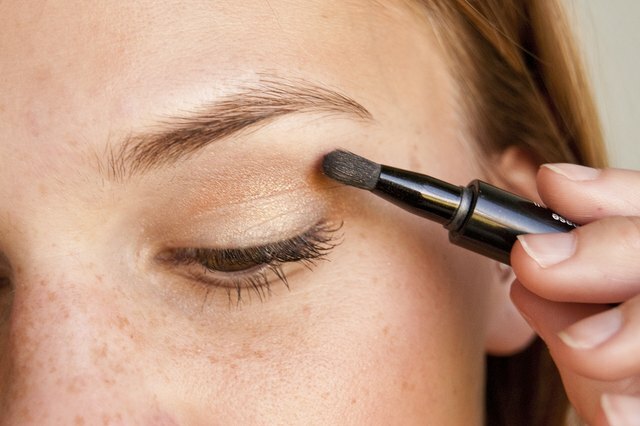 Tap off any excess and apply the color to the outer corner of your eye in a sideways “V” shape. 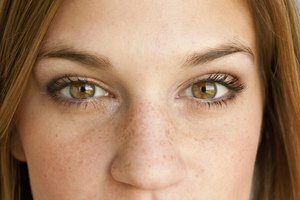 Keep the color close to the outer corner of your eye and don’t extend it more than one-third of the way into your eye. When the darkest color is as intense as you want, use a clean, fluffy blending brush to blend out any harsh lines. Using small circular motions, follow the shape of the “V” until the darkest color blends seamlessly into the two other colors.